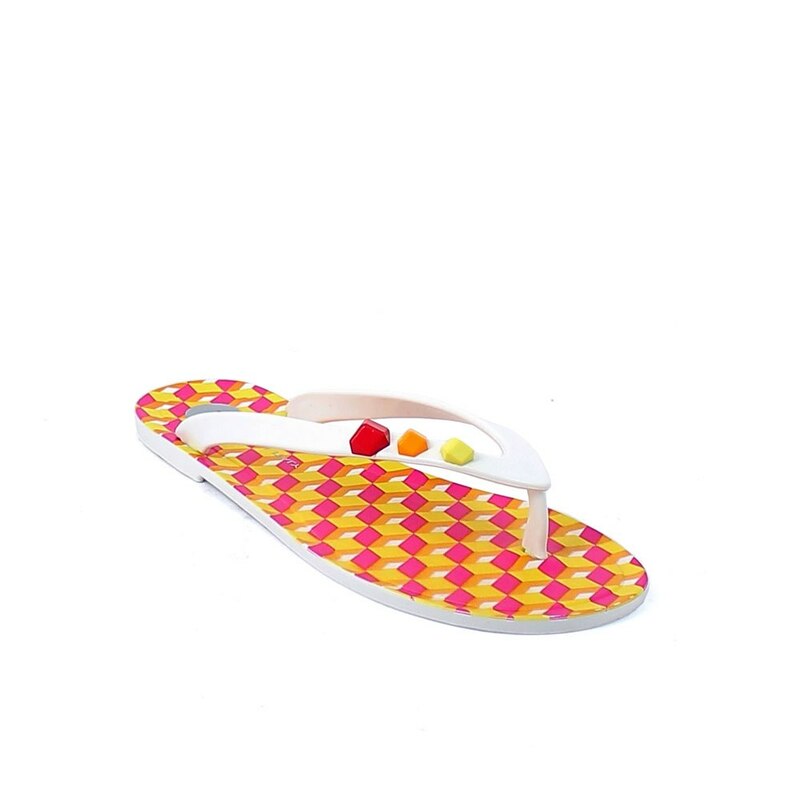 Pvc flip flop with application of imitation stones in three colours; digital fuxia cubes print and pad printing on the insole. Made in Italy. Size run: Double sizes from 36-37 to 40-41.